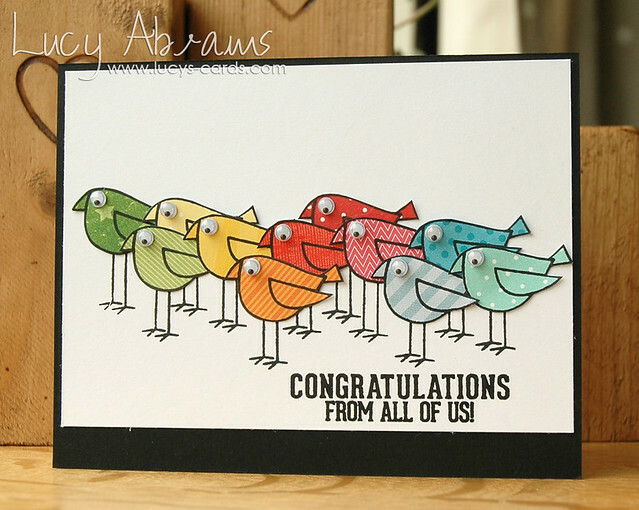 Cards like this are a great way to use up some scraps. That's why I keep them (or so I tell my ever-despairing husband). 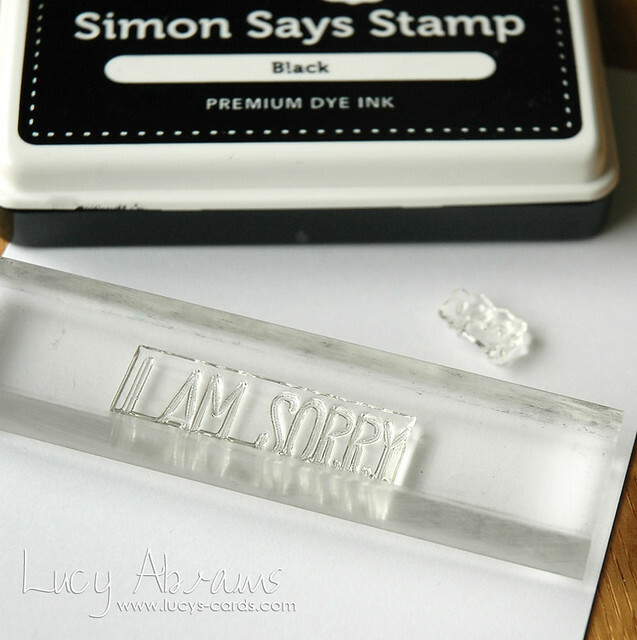 One of my favourite sentiment stamp sets from previous years was Simon Says Stamp's Just a Love note set… I love the mix of fonts and styles. 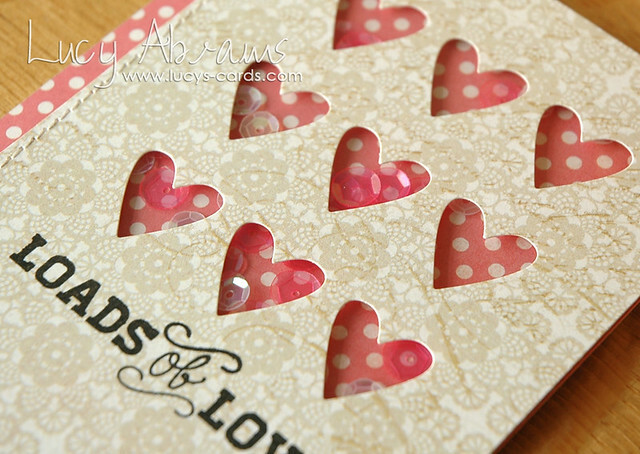 So today I have a shaker card to share which uses a stamp from this set, along with Simon's Tic Tac Toe Hearts die and some yummy My Mind's Eye Heirloom paper. Hello, and welcome to the final day of my 2nd Use It! class. I confess - I have about a gazillion sets of alphas. I love them… but do not use them enough. 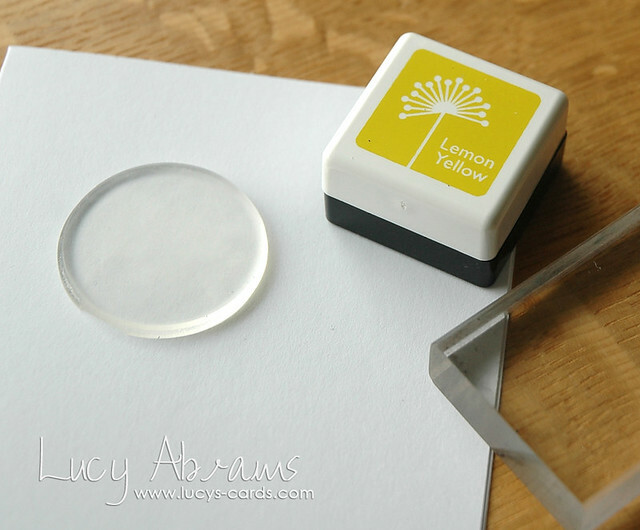 Today I am sharing an idea of how to get more from your alphas by customising them with ink. 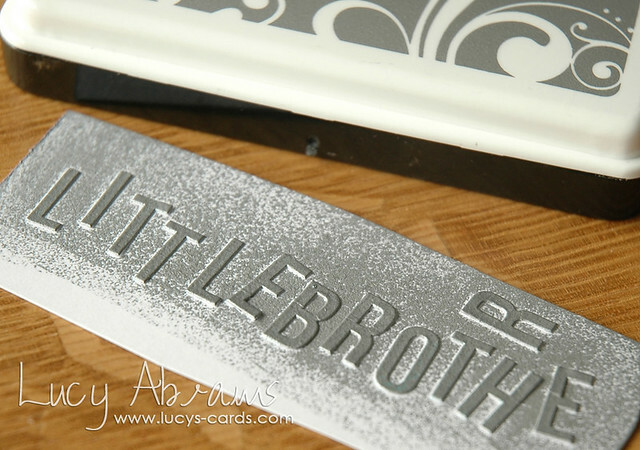 Adhere alphabet stickers to some scrap paper, spelling out 'Little Brother'. 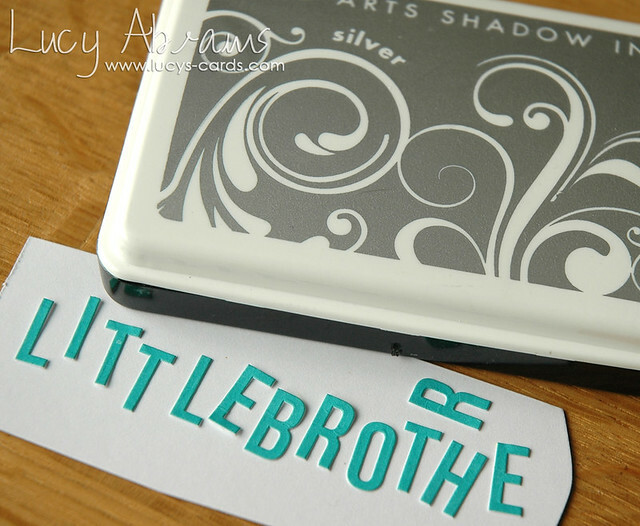 Press Silver Shadow Ink directly onto the alphabet stickers and allow to dry. 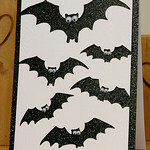 Stamp 'Happy Birthday' onto patterned paper and trim into a banner shape. Adhere the banner to the blue paper with foam adhesive. Adhere the stickers beneath the banner. Mist the blue panel with Calico Shine Mister Huey's and leave to dry. 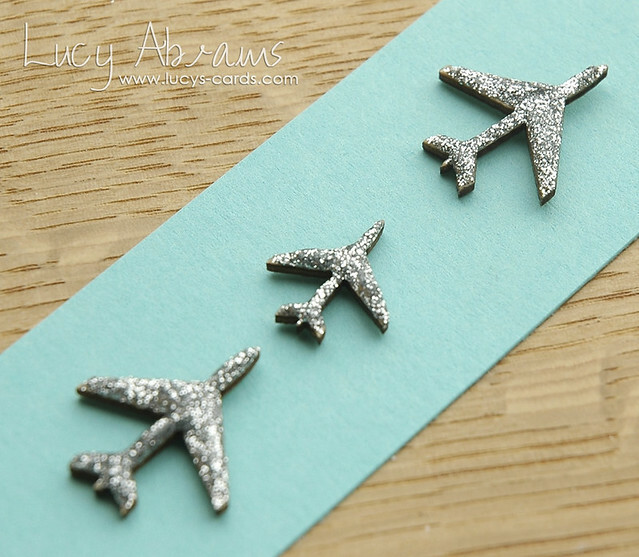 Temporarily adhere wood veneer aeroplanes to some scrap paper and cover with Silver Stickles. 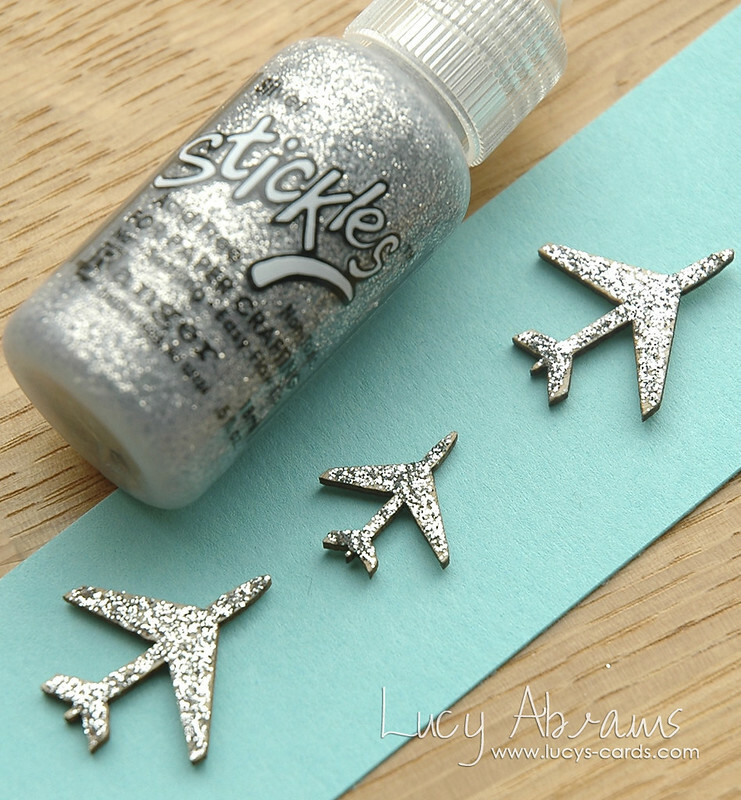 When completely dry, apply another layer of Stickles. It looks really gloopy and thick but will dry flat. 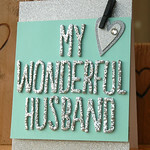 Adhere grey paper to a card base. 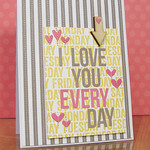 Adhere the blue panel top the card and staple the panels together with a Tiny Attacher. 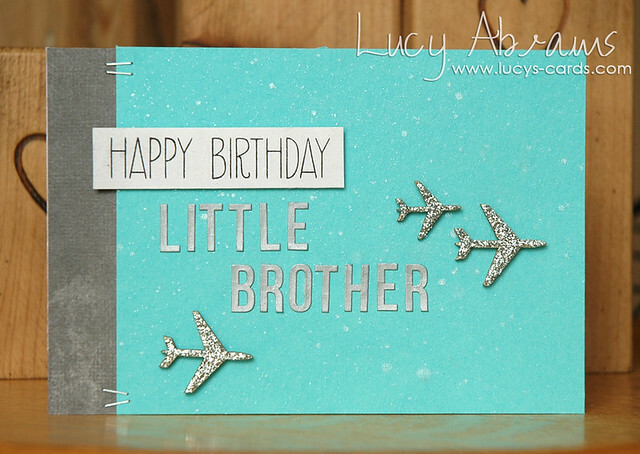 Adhere the aeroplanes to the card with Glue Dots and you're done. Yay! That's all for this class. 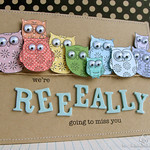 Bye for now - have a wonderful weekend. It's Day 4 of my Use It! class 2. 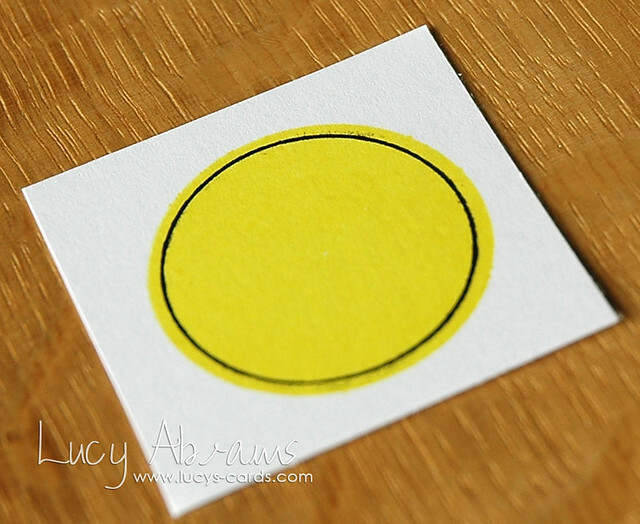 Stamp a circle of Lemon Yellow ink on white cardstock. 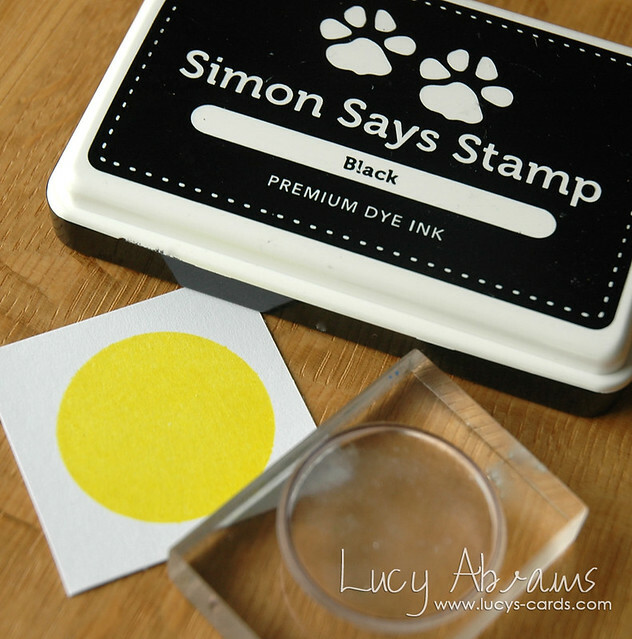 Stamp an outline circle on top of the yellow circle with Black Ink. 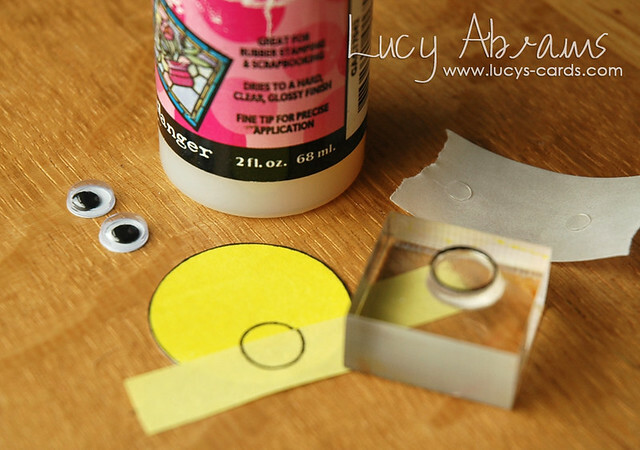 Using a Post-It note as a mask, stamp half a tiny outline circle onto the yellow circle. Adhere two eyes above the half circle. I always use tiny glue dots for wiggle eyes. 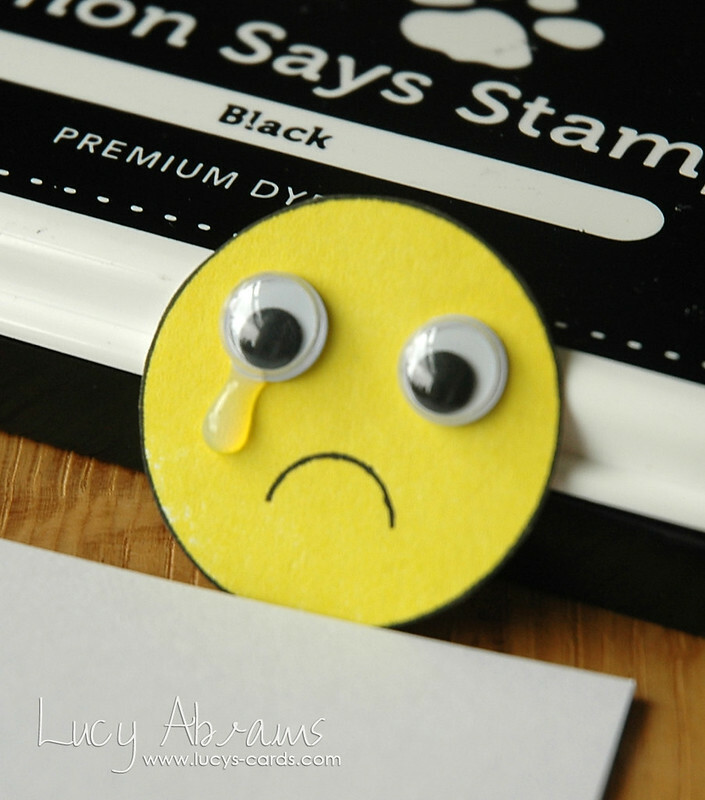 Then, add a drop of Glossy Accents beneath one eye to create a tear drop. TIP: lean the face against something while the Glossy Accents dries, so that it forms a drip shape rather than drying into a circle. 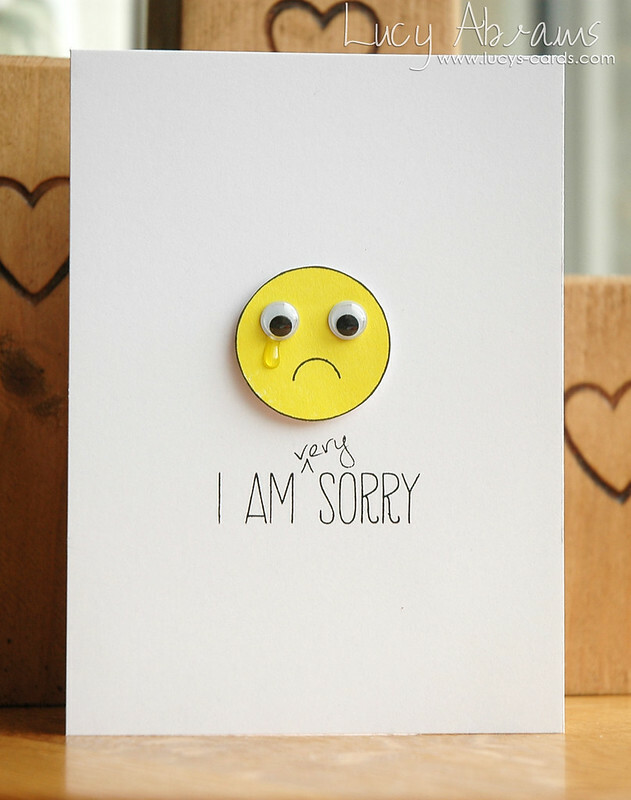 Stamp the sentiment in black ink onto a white card base. Adhere the face above the sentiment using foam adhesive. 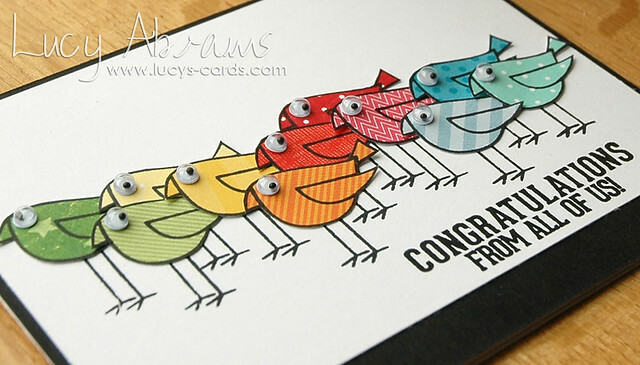 Here are some of my wiggle eyed cards from the past (including one from way back in 2010!). Click to see in full. 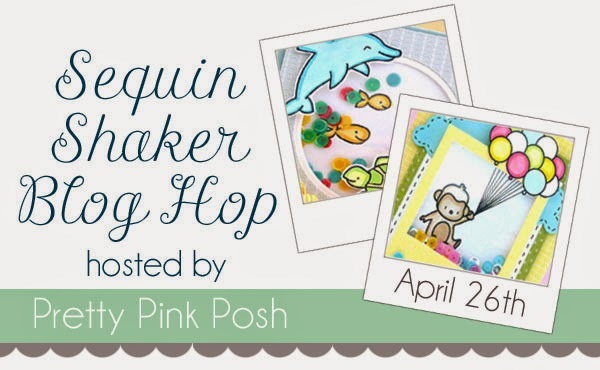 I hope you will join me tomorrow for Day 5: Alphabet Stickers.